The immediate benefits of tai chi training to physical and mental health are gained through relaxing and releasing, noticeable in better body awareness and postural alignment, the generation of vital energy (qi), and improved balance and co-ordination through correct breathing patterns and gentle movements. Through longer term practice, awareness as intention, the integration of body, mind and spirit, and sensitivity and inner listening will progressively develop. 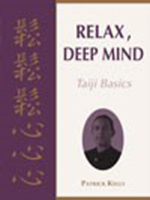 Tai-chi is renowned for mitigating ailments such as RSI, joint injuries and mobility problems as well as improving the psychological and general well-being of participants, making the practice ideal for sportspeople, golfers, musicians and the deskbound: specific sets of exercises can be devised to suit particular occupational hazards. The practice of taiji also offers insight into Chinese historical culture, philosophy and spirituality. Taiji is often referred to as the "gentle way of exercising" and is one of the the safest ways to stay physically and mentally alert and healthy. The gentle dance like movement invigorate the body, mind and spirit; are easy to learn; are accesable to people of all ages and levels of fitness. The internal organs, muscles, sinews, ligaments, tendons and other fascia tissues, as well as the bones are strengthened through the constant lifting and sinking of the body. The stretching and un-stretching of the muscles, and the compression of the bones all assist in improving posture, alignment and a general feeling of well being. Careful attention to the alignment of joints minimises injury and establishes a strong and clear intention of the vertical alignment of the body and it's corresponding central equilibrium.